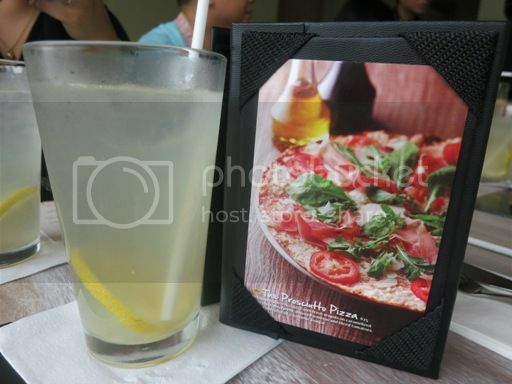 I was in Bonifacio Global City (BGC) yesterday to attend the media launch of the newest California Pizza Kitchen (CPK) branch in Bonifacio High Street. 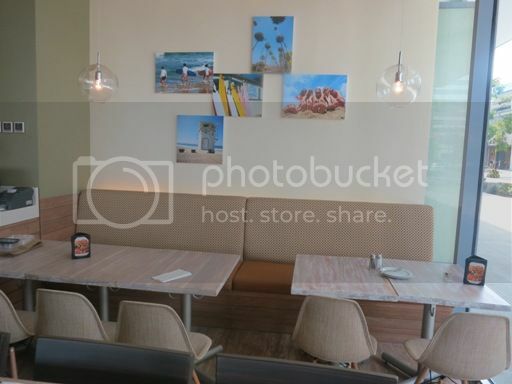 The new CPK restaurant showcases the new California-inspired interior with a panoramic view, more natural colors, picture accents on the wall and the bar. 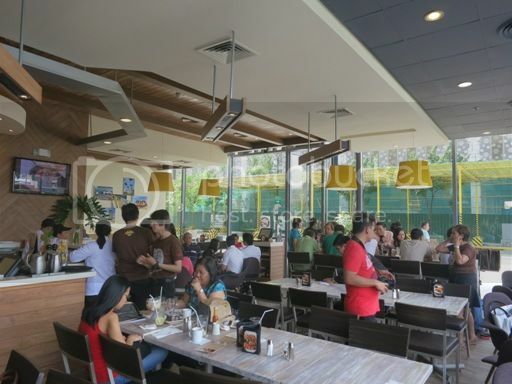 According to Archie Rodriguez, President and CEO of Global Restaurant Concepts, Inc. (GRCI), “The new look is near to the US `sawgrass design,’ which had its prototype in Sawgrass Mills shopping mall in Florida. 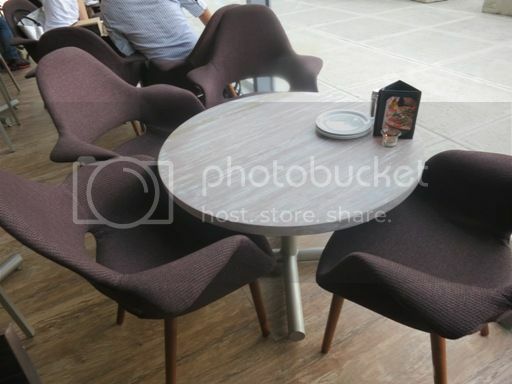 Given our close partnership with CPK US, we were allowed to source our own materials locally, like our new tables and chairs, flatware and glassware.” GRCI has been CPK’s local partner since it began serving its innovative premium pizzas in the country 15 years ago. 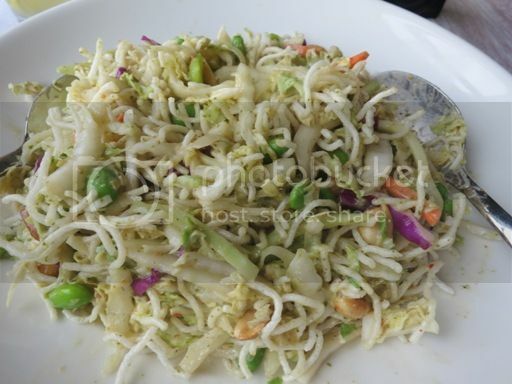 Guests were also treated to a hearty lunch which we learned were new additions to CPK’s menu. This is fresh-squeezed lemonade that’s totally refreshing! I had two tall glasses of this! Thai Cruch Salad has shredded Napa cabbage, chilled grilled chicken breast, julienned cucumbers, edamame, crispy wontons, peanuts, cilantro, julienne carrots and red cabbage. This is one of my favorite CPK dishes served during the media launch. There were lots of crunch in every bite. It’s slightly sweet, slightly spicy and peanuty! 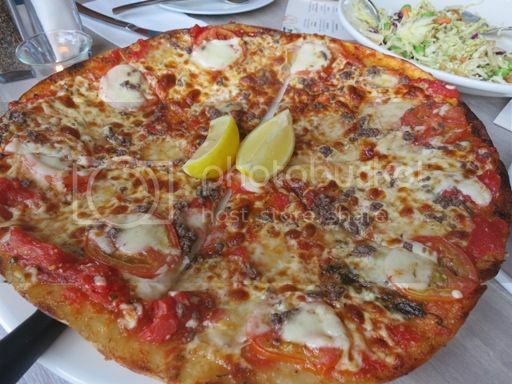 Anchovy Pizza is a thin crust delight topped with crumbled anchovy fillets, sliced fresh tomatoes, garlic and fresh mozzarella with Neapolitan sauce. This was a bit salty for me, but I finished a big slice. Lol! 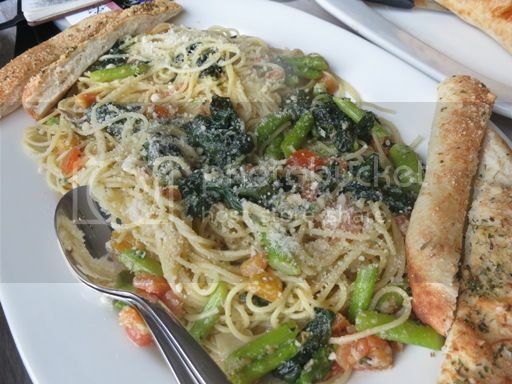 This is thin spaghetti with asparagus and spinach, served with garlic bread. 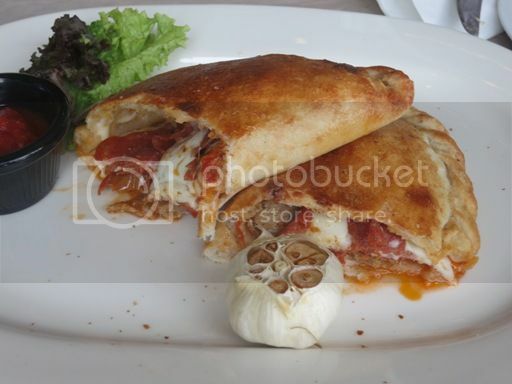 This is calzone (a turnover made of pizza dough) with Italian sausage, mozzarella and marinara sauce, served with roasted garlic bulbs. I loved this one, too! 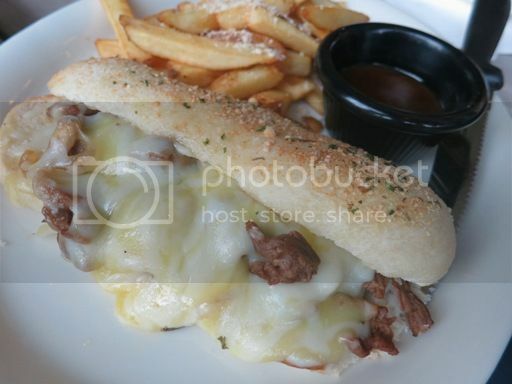 Another one of my favorites, this Cheese Steak Sandwich uses USDA tender steak strips sautéed with button mushrooms, yellow onions, Mozarella and Queso Quesadilla cheeses. 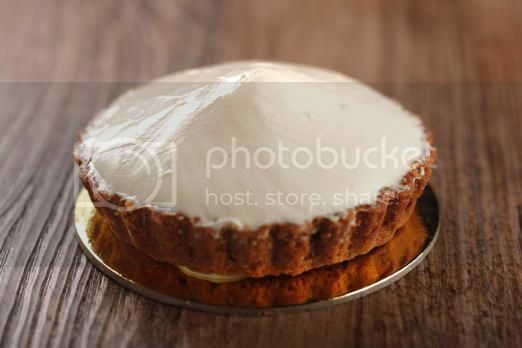 This is caramel crust tart made from bananas and smooth toffee, topped with whipped cream. Our table wasn’t served this. What we had was the Turtle Sundae. 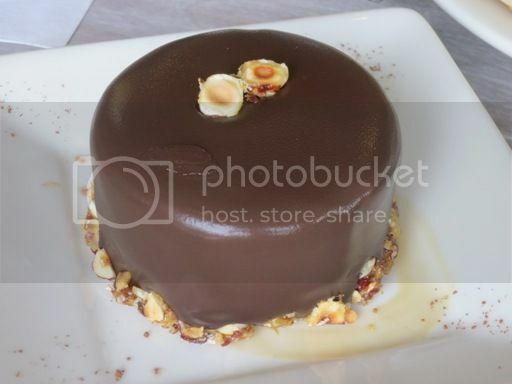 Here, you’ll see layers of caramel mousse and candied hazelnuts in between lemon chiffon cake, covered in dark chocolate glaze. I skipped dessert because aside from being full, I’m not really a dessert person. One of the CPK staff was telling us the story behind this Turtle Sundae, but I didn’t hear it well because I was sitting at the farthest end of the table. 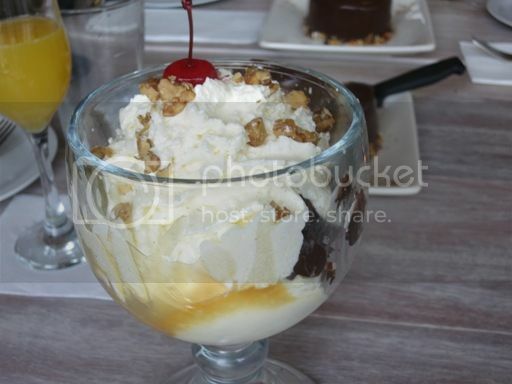 She also said that they used homemade ice cream for this Turtle Sundae. Now here’s good news for CPK lovers! CPK is also launching the Holiday Party Meal, a mix and match group meal package available for only P995. You can match a choice of pizzas like Pepperoni, Hawaiian and Five Cheese and Fresh Tomato with your choice of family-sized pasta like Spaghettini Vongole, Tomato Basil Spaghettini or Spaghettini Bolognese. The Holiday Party Meal also comes with a free carrot cake and Coke 1.5 liter. Available until January 6, 2013, the Holiday Party Meal is valid for take-out and delivery orders only. The new CPK is located at W Global Center, 30th Street corner 9th Avenue, Bonifacio High Street, Bonifacio Global City, Taguig. There are also CPK branches in Glorietta 3, Alabang Town Center, Shangri-la Plaza Mall, Greenhills Promenade, Trinoma, Power Plant Mall, Greenbelt 5, Lucky Chinatown Mall and Harbor Point Mall in Subic. 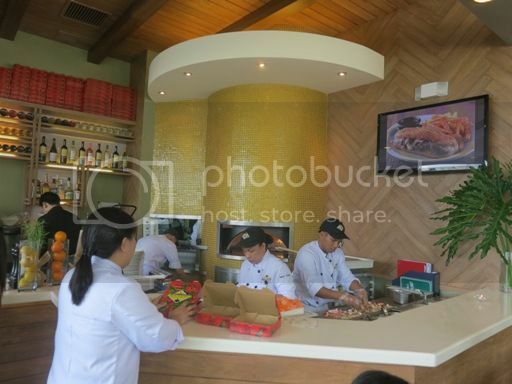 This entry was posted in Bonifacio Global City, California Pizza Kitchen, Californian Cuisine, Food Friday, Food Trip Friday, Media Launch, New Food Offerings, Restaurant Interiors. Bookmark the permalink. would love to try them all! takaw eh, no? hehehe. 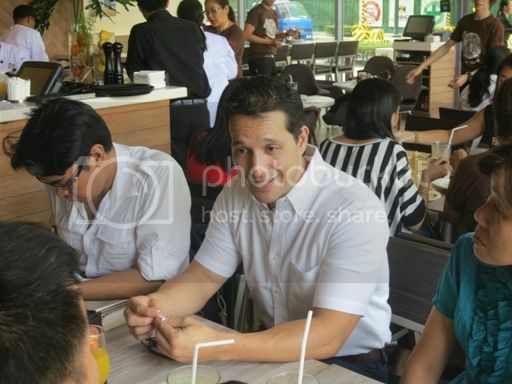 i think they used to have one branch along Tomas Morato, too… sayang, wala na ngayon. Or maybe am mistaken. lol. Oh my goodness! It has been a dream to eat at CPK! That spaghettini is what I want to try! The anchovies pizza flavor is quite interesting. it has been ages ago since we’ve last been on this place, more than a year, actually. we went there last year to dine on my birthday. All sumptuous-looking! I would love to know more about the Turtle Sundae! Haha. I love CPK, specially the pastas but I haven’t been to their branch in BGC! do you know what time they open in the morning? how early is it?